I don't often get Weller Sicard vases, but I sure do like them. They're very similar to Massier vases from France, as Sicard studied in France to learn the technique and bring it to Weller. 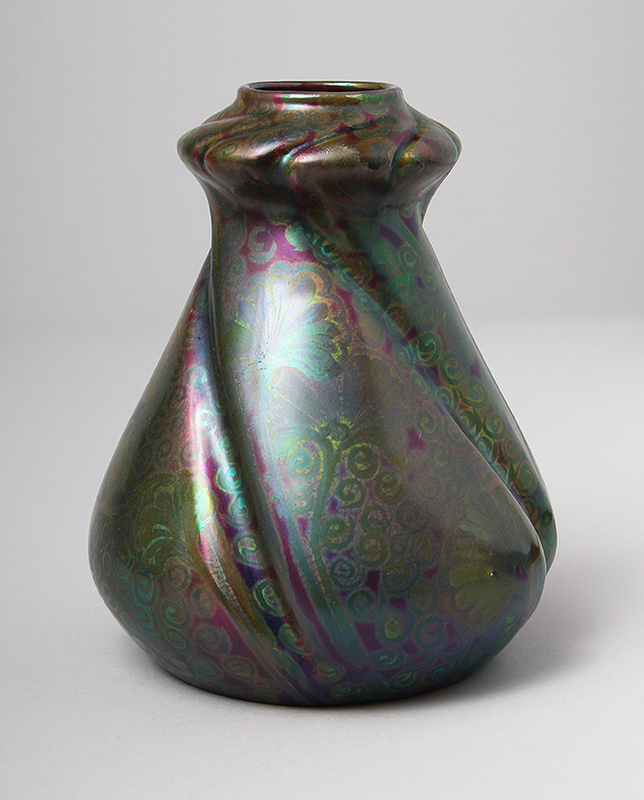 This is a lovely form, with beautiful decoration, color and iridescence. Nice size at 7½" tall. Signed. Excellent original condition except for a couple of tiny burst bubbles (one visible in the photo).